STANFORD – As America’s elections approach, with President Barack Obama slightly in front of his Republican challenger, former Massachusetts Governor Mitt Romney, pollsters still rate the races for control of the presidency and the United States Senate too close to call, with the House of Representatives likely to remain in Republican hands. The differences between the candidates are considerable, and highly consequential for American economic policy and the global economy, although enactment of their programs will depend on the makeup of Congress. Spending. Obama has dramatically increased spending. He would likely continue many of his temporary programs (as Milton Friedman once observed, “There is nothing so permanent as a temporary government program.”); double down on having government pick winners and losers in green energy; expand spending on education and infrastructure; and substantially reduce defense expenditures. Romney, by contrast, favors limiting overall federal spending, currently 24% of GDP, to 20%, and keeping defense at 4%. He wants private markets, not government, to choose winning firms and technologies. Democrats oppose most nondefense spending cuts, arguing that reductions would cause the economy to contract. That case is strongest if the spending reductions are large and abrupt in a weak economy. If phased in over a multi-year period as the economy recovers, as Romney proposes, thrift would likely be expansionary. For example, federal spending relative to GDP fell by five percentage points from the mid-1980’s to the late 1990’s in the US, and by an even larger margin in recent decades in Canada – that is, through periods of strong economic growth. Taxes. Obama would raise the top marginal tax rates on wages, capital gains, dividends, interest, and estates, especially on higher-income individuals and small businesses. Yet he has never proposed comprehensive reform of either the personal or corporate income tax. By contrast, Romney would reduce America’s corporate tax rate (the highest in the OECD) to 25% and tax American multinationals on a territorial, rather than a worldwide, basis in order to increase their tax competitiveness. He would also lower personal tax rates by 20%, and make up lost revenue by limiting tax deductions and credits, particularly at the upper end, thereby raising about 18.5% of GDP, just above the historical average, at full employment. Romney’s fiscal plan thus reduces deficits sufficiently to decrease the debt-to-GDP ratio. He favors a balanced-budget amendment to the Constitution, and hopes to balance the budget over eight years. Obama, by contrast, would run larger deficits – his spending increase is much larger than his tax increase – which imply large tax hikes in the future. Moreover, he would run far larger debt ratios than Romney, because the main driver of the debt is entitlement spending. Entitlements. Obama has remained silent about reform of Medicare and Social Security, whose long-run deficits are several times the national debt. Vice President Joe Biden has even said that “no changes” to Social Security are to be made. Romney supports gradually increasing retirement ages, a premium-support model for Medicare, and shifting Medicaid (health insurance for the poor) to the states via block grants. The Obama campaign is pummeling Romney on Medicare, and the Romney campaign is hammering Obama for his refusal to negotiate or even propose a solution. The Obama policy would thus lead to ever-higher deficits and debt ratios well over 100% of GDP, a level that numerous studies imply would reduce US economic growth by one-third or more and might induce a sovereign-debt crisis. Some observers suggest that Obama’s unspoken plan is ever-growing entitlements eventually paid for by a European-style value-added tax. Trade. Obama is the first US president in a long time who has not played a leading role on global trade liberalization. The Doha Round of global trade talks remains stalled, and Obama delayed the three bilateral free-trade agreements that awaited approval when he came into office. Romney is a proponent of free trade, but has said that he would be tougher on China’s trade practices and currency policies. Regulation. Obama wants to expand federal command-and-control regulation further (though the courts have stopped his extension of some regulatory powers). Romney vows an economically balanced approach that would reform Obama’s major health-care, environmental, and financial-services regulations. Appointments. Every US president appoints thousands of officials, many with considerable power. Romney has said that he would not reappoint Ben Bernanke as Fed Chairman (likely candidates: economists Glenn Hubbard, Greg Mankiw, John Taylor, and Martin Feldstein). Other presidential appointees exert considerable influence on firms, industries, or the entire economy. For example, Obama’s appointees to the obscure National Labor Relations Board tried to prevent Boeing from expanding in South Carolina, despite the state’s anti-union “right to work” legislation. These policies would affect US economic growth, the budget deficit, national saving, and hence global trade and capital flows. With larger deficits under Obama than under Romney, America would need more capital from Europe, Latin America, and Asia, while higher taxes and debt would impede US growth and thus undermine these regions’ exports. Obama would steer America in the direction of European social-welfare states; Romney’s agenda is designed to prevent that. 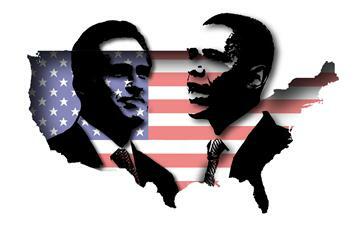 Whoever wins, a fiscal cliff looms at the end of 2012. Previous legislation, if not reversed, will lead to large abrupt tax hikes and spending cuts, which the Congressional Budget Office forecasts would likely cause a recession in 2013. While a post-election, lame-duck session of Congress will address the fiscal cliff, the deep differences between Republicans and Democrats on taxes and spending remain wide and difficult to bridge. With uncertainty plaguing Europe’s finances and China slowing, the last thing the global economy needs is a stagnant or shrinking US economy. But it will take strong leadership by the president-elect to avoid it. Michael Boskin is Professor of Economics at Stanford University and Senior Fellow at the Hoover Institution. He was Chairman of George H.W. Bush’s Council of Economic Advisers from 1989-93, and headed the so-called Boskin Commission, a congressional advisory body that highlighted errors in official US inflation estimates. Monetarists from across the world can mostly agree on one thing. The US Federal Reserve caused the Great Recession. Fed chair Ben Bernanke kept policy far too tight after the US economy buckled in early to mid 2008. He allowed a collapse in the money supply to run unchecked, causing avoidable disasters at Fannie, Freddie, Lehman, and AIG later that year. Call it the "Bernanke Depression" if you want, a term gaining traction in elite circles. The indictment is a little unfair. The European Central Bank was worse. It raised rates into a deflationary oil shock in August 2008, and worsened a run on the dollar that constrained Fed actions. There was little that Bernanke could do about the deeper causes of the crisis, whether the `Savings Glut' of Asia and North Europe, the `China Effect', the $10 trillion reserve accumulation by the world's rising powers. Yet three heavyweight books now lay the blame squarely on the Fed: the 'Great Recession' by Robert Hetzel, a top insider at the Richmond Fed; 'Money in a Free Society' by Tim Congdon from International Monetary Research; and 'Boom and Bust Banking: The Causes and Cures of the Great Recession' by David Beckworth from Western Kentucky University. They do not agree on everything. Hetzel denies that there was a serious debt bubble before the crisis. Beckworth and Congdon think there was, and I am with them. Total debt levels in the OECD club of rich states rose from 167pc of GDP to 330pc in thirty years. This was the blow-off phase of a Kondratieff debt cycle. The system was primed for a crisis. But monetarists of all stripes concur on the one key point. Bernanke blew it at a crucial moment. Thankfully, his Great Depression scholarship alerted him to the dangers thereafter. We have avoided a 1931 sequel so far. Less clear is whether US money has been too tight ever since, trapping America in a `Japanese' Lost Decade. Less clear yet is whether a third blast of quantitative easing (QE3) at this late stage is wise. Simon Ward from Henderson Global Investors says the Fed is committing yet another "pro-cyclical" blunder, gunning the economy just as the money supply is coming back to life anyway. "The Fed’s decision to launch QE3 was at best otiose and at worst will prove destabilising," he said. His gauge -- six-month real M1 money --is gathering pace and surged by 8.5pc in August. This reflects a shift into cash by households and firms, a precursor to rising spending. It is a leading indicator of industrial output half a year ahead. He fears the stimulus will hit before companies are ready to crank up output. It is a recipe for inflation. "Yet again, incompetent, short-termist policy-making risks wrecking a promising economic outlook." Tim Congdon says the case for further QE is "far from compelling". The broad M3 money supply (which the Bernanke Fed no longer tracks) has been growing at a 7.9pc rate over the last six months. Bank deposits up $330bn so far this year to $8.82 trillion. He too suspects that the Fed has over-egged the pudding. The economy will take off in early 2013. Bernanke's pledge to keep interest rates near zero until mid-2015 will prove "folly of a high order". Inflation will force him to tighten much earlier in a humiliating volte-face. This may prove correct. Yet it does not change my view that the Fed was right to launch QE3. It is the lesser of evils at a dangerous juncture. The US labour participation rate has fallen to 63.5pc. The numbers in work have contracted by 314,000 over the last two months. Industrial output fell 1.2pc in August. The economy has been close to stall speed for months. A hard-landing in China and a double-dip recession in Europe are already under way. 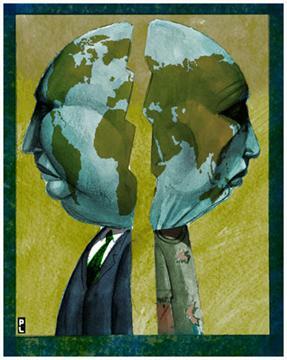 One more shock will push the entire global system into a very nasty "feedback loop". Nathan Sheets from Citigroup -- an expert on "stall speeds" from his Fed days -- said that once the US economy has slowed to 1.5pc growth on a "rolling four-quarter basis", it tends to fall 3pc over the following year and takes the world with it. By his estimates, the US `fiscal cliff' would amount to net tightening of $800bn or 5pc of GDP if Congress fails to strike a deal. "A major U.S. misstep could edge the global economy closer to a point at which markets entirely lose confidence in the ability of policymakers to manage their economies," he said. One suspects that the Fed's real motive for QE3 -- whatever it claims -- is to prime-pump the US economy pre-emptively just in case. If all goes well, the stimulus can be drained later. The Fed has been tightening this year, a fact overlooked in the Weimar/Zimbabwe slapstick of the last two weeks. Yields on ten-year inflation-indexed Treasuries or TIPS -- a proxy of inflation expectations -- have crashed zero to minus 0.7pc since January. If this is the start of hyperinflation, nobody told the bond markets. The Fed's balance sheet has shrunk by $120bn to $2.82 trillion since February as the old schemes run off -- the `TALF' and suchlike. Assets reached a plateau of around 16pc of GDP two years ago and have not changed much since then. This is exactly the same as in 1951 before the Fed's last great experiment was unwound. It is also lower than the balance sheets of the ECB, Bank of England, Bank of Japan, or -- arguably -- China's central bank. Bernanke's QE3 will now add a further $40bn a month by purchasing mortgage bonds. A switch in maturities means the net stimulus to M3 money will be about $70bn a month. This is a fine-tuning operation. It is what you do when interest rates reach the "zero-bound". Is it really that different from a half point cut in rates? If the Fed's decision is "historic" -- as widely asserted -- this is because the arguments used are shifting, not because the sums of money are large. Bernanke has switched overnight from inflation targeting to jobs targeting. He seems to have espoused a variant of the "7/3" proposals of Chicago Fed chief Charles Evans: that they will keep adding stimulus until unemployment drops to 7pc, so long as inflation stays below 3pc. His colleague Narayana Kocherlakota has even talked of a 5.5pc jobless target, reversing is longstanding claim that the US jobs crisis is caused by a structural mismatch in skills -- not by lack of demand -- and is beyond the reach of monetary policy. Modern monetarists -- or market monetarists as they call themselves -- have achieved a bittersweet victory. They have been calling for QE3 all year. They are widely credited with forcing the Fed to capitulate. Their influence is now extraordinary. Yet the Fed is dressing up its policy shift in dubious terms. Instead of adopting a "pure" monetarist target -- say a 5pc trend growth rate for nominal GDP -- the Fed is implicity arguing that a little more inflation is a worthwhile trade-off if it creates more jobs. Bill Woolsey from Monetary Freedom says we are back edging back towards the `Phillips Curve' temptations of the 1960s and 1970s, which ended with stagflation and the misery index. "Targeting real variables is a potential disaster. Expansionary monetary policy seeking an unfeasible target for unemployment was the key error that generated the Great Inflation of the Seventies," he said. Bernanke's attempt to push down borrowing costs is at odds with monetarist orthodoxy. Woolsey argues that successful QE should cause rates to rise -- not fall -- because the goal of such policy should be to put money into the hands of businesses that then invest, spending on machinery and real expansion. The Fed is barking up the wrong tree with its doctrine of credit yield manipulation, or "creditism", straying far from the quantity theory of money. Most of the criticism levelled against Ben Bernanke and QE3 is jejune at best, or just plain rubbish. The real objection is that Bernanke is not a monetarist, takes no interest in money, systematically ignores monetary warning signs -- whether too hot in 2006, or too cold in 2008 -- and yet controls the most important monetary lever in the world. He will almost certainly make further mistakes as a result. So back the Fed's QE3 with a clothes-peg on your nose. LIMA – The 2008 financial crisis highlighted the profound importance of finance for the globalized economy. But 2.5 billion people worldwide still lack access to formal banking services, credit facilities, or savings instruments. Bringing this largely ignored “missing market” into the formal financial system would enrich and strengthen the global economy. The unbanked, who live primarily in developing countries, comprise nearly half of the world’s working-age population. In some countries, as much as 90% of the population lacks access to the formal financial system. This impedes their participation in the global economy by restricting their ability to buy goods and services, to borrow and save, or to invest in their future and that of their community and country. Most global poverty-reduction efforts rely on “top-down” solutions – development-aid flows from rich to poor countries – that largely focus on education, food security, and disease management and prevention. But improving access to the formal financial sector is a unique challenge that cannot be tackled with foreign aid or government handouts. In general, homegrown solutions have proven to be more effective than externally imposed policies. While a single, universal solution will not work, understanding factors that are common across countries provides a useful way forward. For example, populations worldwide are embracing technology, particularly mobile services. However, people throughout the developing world frequently lack proper identification, a fixed address, or a formal employer. Solutions that capitalize on trends or address widespread challenges are more likely to have an impact. A policy that works in one or two markets can then be shared, analyzed, and adapted for implementation elsewhere. In developing countries, an estimated 1.7 billion people own mobile phones but have no access to banking services. Harnessing this technology to expand financial inclusion would be economically empowering, particularly for smallholder farmers and merchants in rural communities, who could use their mobile phones to access market-price data, transfer cash, make retail purchases, deposit income, and pay bills – all while tending their fields or shops. This would encourage saving, which is crucial to building a business and providing investment capital to others. And legal, regulated options for safeguarding savings and accessing credit would reduce reliance on the black market or the informal economy, where financial exploitation flourishes. In Kenya, regulators have created the conditions needed for an innovative mobile-phone financial-services system, M-PESA, to flourish. Since its 2008 launch, M-PESA has attracted nearly 14 million Kenyans – almost one-third of the country’s total population – who use it for money transfers, savings, and other financial transactions. Regulators and local private institutions can collaborate to create safe and accessible banking and credit instruments. That is how Brazil developed a regulatory framework that has enabled banks to build a network of 95,000 banking agents. As a result, an estimated 13 million Brazilians – in all of the country’s nearly 5,600 municipalities, from the Amazon to the favelas (shanty-towns) of São Paulo and Rio de Janeiro – have been brought into the financial system. Similarly, a state-owned Indonesian bank, Bank Rakyat Indonesia, is providing micro-financing services to 30 million people, while in India, new “no-frills” savings accounts have attracted 12.5 million customers. Other homegrown regulatory success stories come from Mexico, Peru, Bolivia, Uganda, South Africa, the Philippines, Thailand, and Mongolia. Financial leaders have already begun to spread the word about such progress, and the policies that enabled it, in order to bolster and expand financial inclusion. The Alliance for Financial Inclusion (AFI) – a group (in which I participate) of central bankers, regulators, and finance ministers from more than 80 developing countries in Asia, Africa, Latin America, and the Middle East – is sharing knowledge to develop and implement effective policies. In September 2011, at the AFI Global Policy Forum in Mexico, 17 financial authorities adopted the unprecedented Maya Declaration – a set of specific, measurable commitments aimed at increasing financial inclusion. Since then, seven more institutions have committed to the declaration, and more are expected to join before this year’s forum in Cape Town, South Africa, where experiences will be shared and progress assessed. The Alliance understands that globalization is not a zero-sum game. Developing countries can benefit from the opening of markets to new trade and investment, while the developed world can benefit from the infusion of new customers, suppliers, and capital (possibly in the trillions of dollars). If the world’s 2.5 billion unbanked join the global economy, every industry will experience innovation and growth. Rather than waiting for solutions from American, European, or other advanced-country bankers, developing countries are leading the way toward financial inclusion, dramatically reshaping the global economy in the process. Opening the financial system to the world’s poorest people will unlock their economic and social potential – to the benefit of all. Daniel Schydlowsky was Counselor for Economic and Financial Affairs to the Peruvian president and President of Peru’s Development Finance Corporation, and is currently the head of the Superintendencia de Banca, Seguros y Administradoras Privadas de Pensiones, which oversees Peru’s financial sector.